Consisting of 35 three and four bedroom units in Maben, MS. Homes specifically designed for handicapped, vision and hearing impaired are available.These single family detached units are placed on scatterd sites throughout the community and are designed to blend into the character of the surrounding neighborhood. This innovative development received aNational Award of Merit in Housing and Community Development from the National Association of Housing and Redevelopment Officals in Washington, D.C. and a Regional Design of Award of Excellence from the Southeastern Regional Council of NAHRO. 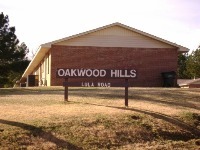 Located on Lula Road, in Grenada, MS.This 40 unit development consists of two, three and four bedroom units, and has units specifically designed for the handicapped and vision and hearing impaired.